Earlier this year, KFC put out a comic book for San Diego Comic-Con featuring the adventures of Colonel Sanders. It was actually pretty dull tho, since it seemed to be based on the sort of cowboy comics that were popular 60 years ago. Now they’ve done something a bit more relevant. 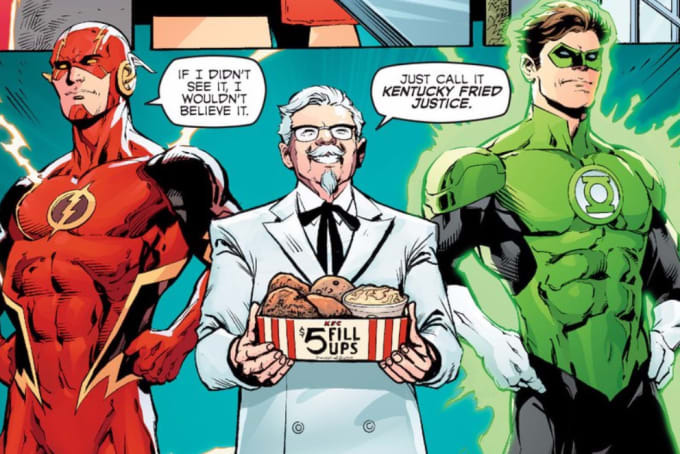 They’ve teamed up with DC Comics to produce The Colonel of Two Worlds, where an evil version of Colonel Sanders fights the Justice League of America. 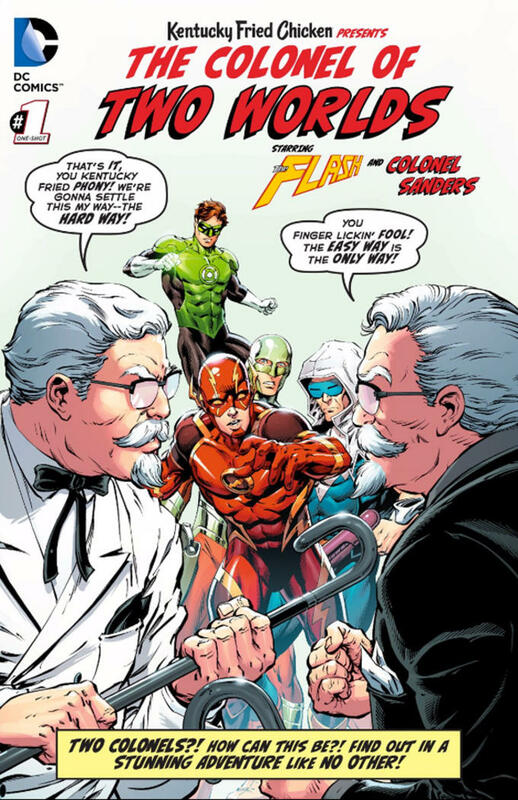 The insane plot involves villains Captain Cold and the Mirror Master going to a parallel dimension to team up with the Colonel’s evil doppelganger, and then battling The Flash and Green Lantern. And of course, it ends with the heroes celebrating with the real Colonel Sanders over a Mega Box. It’s crazy AF, yo. You can read it for free now on Comixology.